Body Wisdom Global is a global initiative to extend the reach of Body Wisdom Inc. around the world. people of the region. Rhett has recently been elected to the Chair of the Asia Pacific Spa and Wellness Coalition’s Task Force on Indigenous Therapies. As Chair he organizes the activities of a committed group of individuals who are working to Preserve and Protect the indigenous healing traditions, Empower the local healers to become self sufficient and Educate the Spa and Wellness assembly and the spa-going public. As a result of his research into traditional therapies Rhett has created several authentic Body Wisdom courses such as Best of Asia, Premier Spa Indonesia, Traditional Thai Massage and Thai Foot Massage. 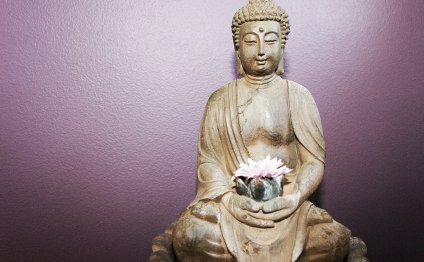 Each course stays as close to the original as possible yet still adapted to the massage, bodywork and spa environment. treatments, creation of training materials including manuals and multimedia, delivery of on-site training services and menu creation. Rhett brings his experience in the field into the creation of Body Wisdom’s state-of-the-art Signature Spa Series including European Spa, Bamboo and Rattan Massage, Premier Spa Indonesia and Best of Asia. Students are taught the ins and outs of the real world spa industry and empowered to create their own customized spa menus and treatments from scratch instead of relying on manufactured spa preparations. Body Wisdom is giving back to the local people in South East Asia and Asia by taking an active role in offering training services to at risk groups of women such as Asha Nepal and others NGO’s. Asha Nepal is a charity with a deep personal commitment to transforming the lives of exploited, abused and endangered women and children in Nepal. In the last year Director of Education Rhett Hatfield has volunteered his Spa Training services to the people of Nepal in the Kathmandu area by teaching week-long courses in Therapeutic Massage Level 1 and Advanced Therapeutic Massage to two different groups. This is a new program we hope to launch next year. Rhett will take a small group of Body Wisdom Grads and Students on a trip to experience first hand the healing traditions of South East Asia and learn from the source as he has. This will be a rare opportunity to experience the culture and be a part of both study and outreach programs.